YouTube - In the latest Beyond the Glass adventure, Myke Clarkson and his team go on the search for arachnids. Starting out in a field full of ants, Myke uncovers a vinegaroon, also known as a whip tail scorpion. Though it technically falls under the category of an arachnid, it is not a true scorpion. The vinegaroon does not have a stinger, making it totally harmless. 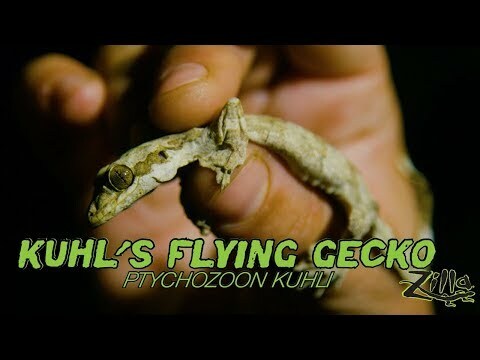 Found in moist, dark areas, they love to hide away under fallen logs and brush piles. 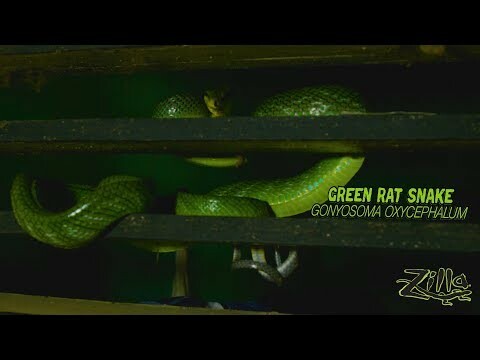 The adventure continues through nightfall, with the team utilizing a black light to help encounter the unique wildlife. The next exciting find is a juvenile one-of-a-kind sunbeam snake. The skin of this snake boasts a prism of color, resulting in a fascinating look. In fact, in Cambodia they are referred to as “gasolina,” since their characteristics resemble gasoline on the ground. Not long after that Myke finds what he was looking for – the Asian forest scorpion. Though this species features a big pair of pinchers, they are typically not the most dangerous scorpions. They love to burrow. In the wild they will come out, grab a little dinner, and then go back to bed. 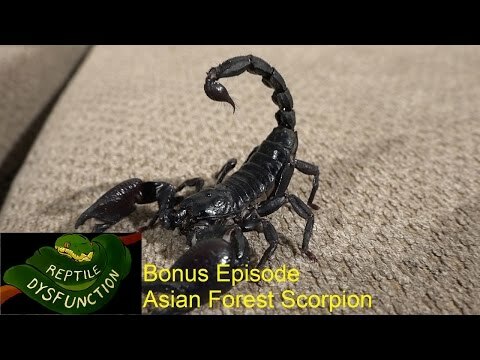 YouTube - A special guest joins Reptile Dysfunction to talk about the giant Asian forest scorpion. Captive Bred Reptile Forums UK - A Heterometrus spinifer carries a nice brood of freshly molted babies on her back. Arachnoboards - Neat photos of a Heterometrus swammerdami next to its fresh molt.